Here is a quick walkthrough video of how to setup google analytics conversion goals. 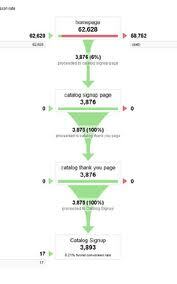 Most internet marketers have google analytics installed on their websites, but few actually go to the length of setting up conversion goals to measure what percentage of their site visitors actually complete the desired action steps needed to reach the end goal, being purchasing your product. This is a basic walkthrough of analytics and the typical scenario that most internet marketers will have. I detail exactly which options to select inside google analytics, how to setup google analytics tracking code on your wordpress blog, and how to setup your analytics goal funnel.